Walks available on Hounslow Heath by arrangement. A circular walk covering the site of the first civil airport, haunt of highwaymen, location of army camps and East Bedfont Gunpowder Mills. 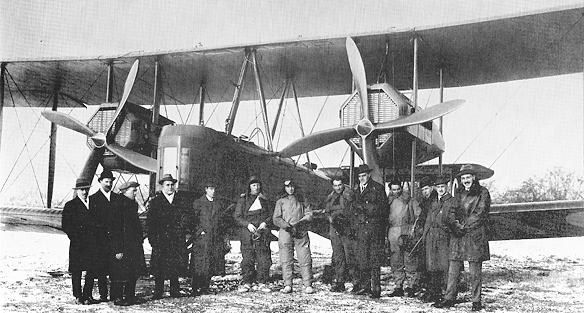 12th November 1919 : Vickers Vimy, crew and passengers, Hounslow Heath, inaugural commercial flight to Australia. (LB Hounslow archives). Hounslow Heath is the site of the first civil airport in the country, and the first Civil Airline service anywhere in the world, London to Paris. The walk crosses the heath where Kings hunted, armies camped and highwaymen roamed, and goes on to the remains of the East Bedfont Gunpowder Mills.